It was after enrolling in a Philosophy of World Religions class in college, and hungering to learn more, that Laurie realized she was a seeker. Though she has always had an inner knowing, that class became the defining moment that began her conscious spiritual journey. 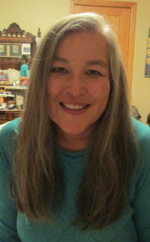 Born in Korea, Laurie was adopted as a child and grew up in the Midwest of the United States. She has lived in many states as well as Mexico, Japan and Germany. Laurie has worked in various fields of politics, business, human services, banking, and education, with a focus on starting new projects and programs. She has also owned and managed two small businesses. Along with being a Certified Soul Coach and Past Life Coach, Laurie has trained in Hypnotherapy, Reiki, Space Clearing, Clutter Clearing, A.R.E. Studies, Landmark Education, Spiritual Directorship, Resiliency, Akashic Records, and Abraham-Hicks. Laurie's greatest joy, along with taking pictures and hiking in the outdoors, is working with people to help them find and express their true passion. She firmly believes that each of us has our own innate wisdom within and sees her role as being present so that you can fully realize and appreciate YOUR magnificence, and the immense joy that is available for you. You can contact her to schedule an appointment.